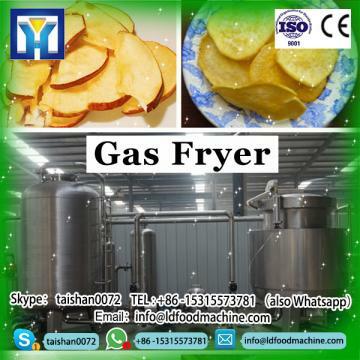 Multifunction food fryer: for chicken, chips, donut, fish, meat, seafood and other food that you need. Thickened stainless steel body: The body of machine is made of thickened S/S, which is corrosion-resistant, easy to clean and look great. High temperature resistance basket: It adopts thickened plates to ensure durability and to prevent deformation. High efficiency burner: heat transfers quickly through the tank, maximize the efficiency of heat utilization. 360mm free standing stainless steel single basket gas deep chips fryer with cabinet have thermostatic temperature control in the temperature range. A safety thermostat and drainage tap to make it easier to clean the machine.Gas fryer:Cast iron burners.Automatic burner ignition by means of an electromagnetic valve,with pilot light and thermocouple. We are a professional western kitchen facility company which mainly specialize in Gas fryer,and we also agent many famous brand kitchen facilities, tableware and other hotel equipment, and all our products selling with wholesale price. our 360mm free standing stainless steel single basket gas deep chips fryer with cabinet including western kitchen equipment series and refrigeration series, for instance,Gas fryer ice maker, ice cream machine, dish washer, popcorn machine , coffee machine, fruit juicer , oven, buffet stove, display warmer,and so on.